When used for tightly-crafted products, there are times when the tightening is extremely heavy. I will not show any complaints only when it is used as a substitute, but the standard is sweet. This review is about item#41690381. This review is about item#41690887. This review is about item#41690476. I think that it is made of stainless steel and the price is cheap and the machining accuracy is also good. This review is about item#41690467. 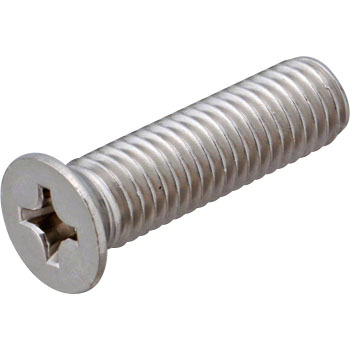 When 4 mm screw hole collapsed, when tapping with 5 mm and inserting the usual flat head screw 5 mm, the head projects so I bought a small head screw. I wanted a small amount of special screws and I am saved. I am also happy that it is cheap. We will also consider other sizes. This review is about item#41690652. I did not put it in the nearby home center, but it was here. I am satisfied with the price, I would like to have various goods from now on. This review is about item#41690573. Such small screws are not sold at home centers so it is very helpful. I am happy because the price is also cheap despite the price. This review is about item#41690205. Self-made CNC device Used to fix control board. Since the head is too big with commercially available countersunk screws, we used the small head screws. This is because the thickness of the cheap Takachi case is thin. It was good even with a pan screw, but I would like to finish it clean, if possible, so I made a choice. This review is about item#41690223. I am glad that I could buy it with a monotaro because it does not sell much M8 size small heads. Quality is also sufficient. This review is about item#41690975. It can be saved because special shape screws can be purchased with a small pack. I am using it without problems. It is saved if you post the dimensions of the shape in more detail, such as the angle of the pan seat. Also, if you post the counterbore angle etc. corresponding, it will be saved during processing. This review is about item#41690241.